Lifting, lowering, pushing, pulling, carrying or otherwise moving, holding or restraining and person, animal or item. Seats that can be adjusted according to weight. Hand-Arm vibration (also know as white finger or dead finger) occurs in hands and arms when using tools such as chainsaws, chipping hammers or pneumatic drills. The first signs of white finger are tingling or numbness after work. As exposure increases, fingertips nearest the vibration source turn white and stay white for an hour or more. A pins and needles pain develops as circulation returns. After prolonged exposure, the whiteness can spread to the whole hand and fingers may become permanently damaged or gangrenous and require amputation. Personal Protective Equipment should include warm clothes to prevent cold and damp situations increasing the risk. regular medical checks for workers. AS 2670 Evaluation of Human Exposure to Whole Body Vibration Defines methods for the measurement of periodic, random and transient whole-body vibration and indicates the principle factors that combine to determine the degree to which vibration exposure will be acceptable. AS 2763 Guidelines for Measurement and Assessment of Human Exposure Sets out general methods for measuring and reporting hand-transmitted vibration exposure and provides guidance for the evaluation of hand-transmitted vibration. These standards do not define the limits of safe exposure. They present graphics associating different quantities of vibrating energy (ranges) and the human response and possible health effects. These graphics and derived from practical experience and laboratory experimentation. 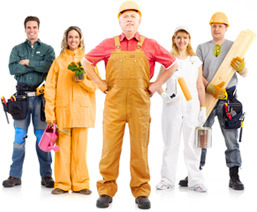 Employers should choose an appropriate range depending on the nature of the work undertaken. What are the ergonomic concerns for selecting powered hand tools? What are the major ergonomic concerns of a hand tool design? You can use a vibration calculator to establish what vibration levels you are being exposed to in the workplace from the Health and Safety Executive. Download the HSE’s free pocket card. This publication contains notes on good practice about hand-arm vibration which you may find helpful.